It's the Central Oregon Quilt Shop Hop and I had the pleasure of selling raffle tickets for our guild's raffle quilt and keeping an eye on the quilts in our mini quilt show. There were some new ones that I hadn't seen before and some that I had. 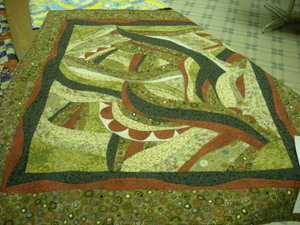 This quilt is made totally free form with a technique of laying the strips over other fabric and top stitching. It's quite striking and I really love the border fabric. The Last of the Round Abouts. Love that title! 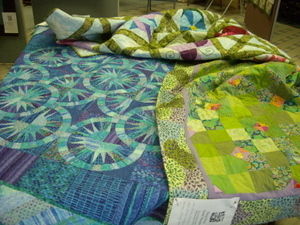 These circles were leftover from last year's raffle quilt. Some are raw edge appliqued, some are needle turned. 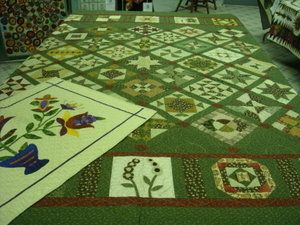 This is one of the quilts from the class I took with Jean Wells. I'm totally impressed that the quilter has hers done, and so beautifully too! Look at the dense quilting on this one. The large quilt underneath is the thank you quilt that we made for our guild president last year. 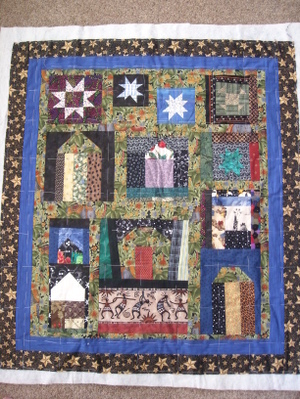 My block is the appliqued flowers right in the center bottom. I love this next quilt and the scrappy nature of the fabrics. I don't think I'll ever try this technique because I can't stand paper piecing. 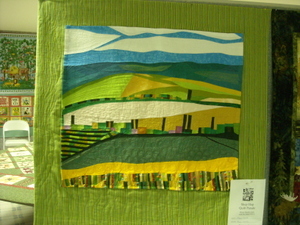 I had two quilts in the show, including the one on the right- Moody Greens. I managed to get Night at the Improv's borders on and the basting done and have started hand quilting it. Meanwhile, uh oh! What's this? I'm heading out for a wheel spinning class right now. Watch for more. Oh, and while you're waiting skip on over to Chloe's blog and leave her a comment for her 200th post. She's giving away something and it may very well be one of the glass and silver charms we've been making in our class this month. Whatever it is, it's sure to be beautiful! 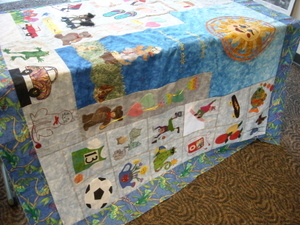 At our last guild meeting we were able to show off the completed top for the hospice quilt. 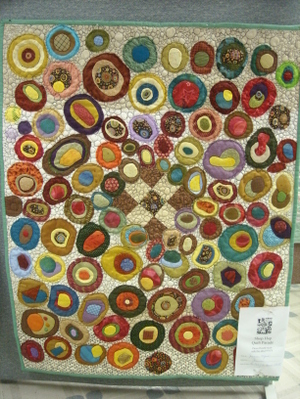 This quilt is designed to hang on the wall in a meeting room of the hospice. 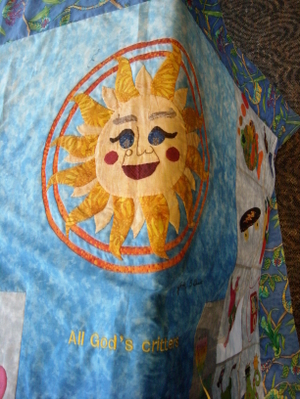 Hospice specifically asked for a quilt that would appeal to kids from little ones all the way up. I love all the different themes you see here. Above is my truck block I forgot to show before. Here are a few close ups of some of my favorite blocks. 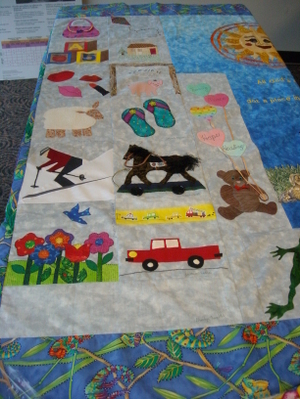 After it is quilted we'll have a reception at hospice to deliver the quilt and I hope to be there to get a finished photo. 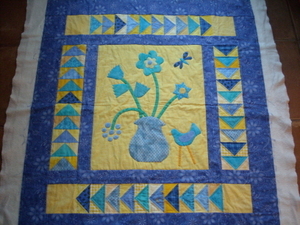 This is a quilt I started last year for my quilt guild's blue and yellow challenge. It really was a challenge for me to work with these colors. It took me a while to figure out what to do. I ended up getting the quilt basted just days before my diagnosis last July and after that I lost interest for quite a while. It's just been waiting for me to get my mojo back and I started hand quilting it a few weeks ago. I do actually plan to add more applique on those blank yellow spaces and I haven't figured out how I want to quilt the border- any ideas? The inspiration for this quilt came right from Gwen Marston. 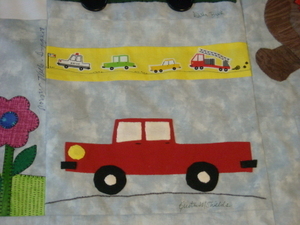 Another of my favorites is her book, Classic Four Block Applique Quilts. 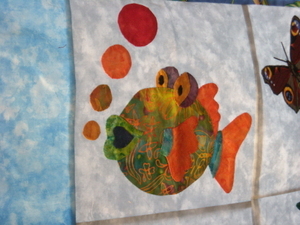 I started with the applique center which is my own design and then added borders as they came to me. It's kind of funny that this year's guild challenge is to use Wild Geese. Well, since I've got those I guess I could enter this one for that too! Most of these fabrics came from my stash, though I did buy a few fat quarters and the blue floral in the borders. If you click on the top photo you can see the extent of the quilting so far. 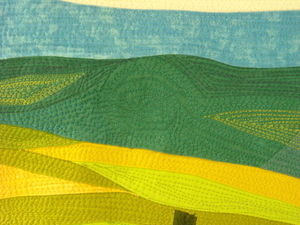 I will be adding more quilting in the yellow background of the center, so far I've just outlined quilted the shapes. 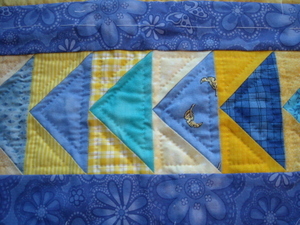 I may also add a bit more applique there so I went on to quilting the geese while I was thinking about that. 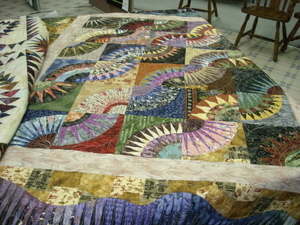 This quilt is just big enough to be entered in the Sisters Quilt show, so I plan to do that. I'll also show it at my guild's show this August. For the past month I've been in my sewing room exactly twice. The second time was yesterday and I made some good progress. I am working on a pieced back for the pink string quilt which I did manage to get the batting for at the guild's community quilt day on Wednesday. I also have all the blocks done for the blue Bento Box quilt. I need to put them together and then I can't decide if I'm going to machine quilt it myself or send it out. I also have plans to work on the red crumb quilt. Life is just so busy right now! It's hard to find the time for the sewing room. We'll see what next week brings. Have a great weekend! Okay, here's the latest pair of socks and then I promise I'll show you some quilting. 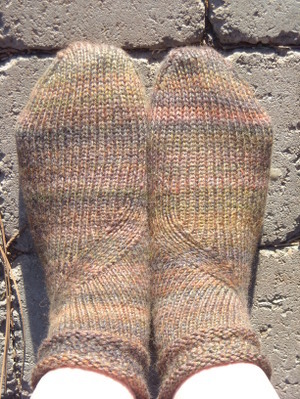 These are the Tibetan Socks from Cat Bordhi's, New Pathways for Sock Knitters. These are made with Trekking XXL and carried double throughout. They are a quick knit on 44 stitches. I made them for me, but they came out a bit small. Luckily, they do fit Chloe, so they are now hers. I still have enough of the Trekking to do something else so I've already started a pair that I hope will fit me! 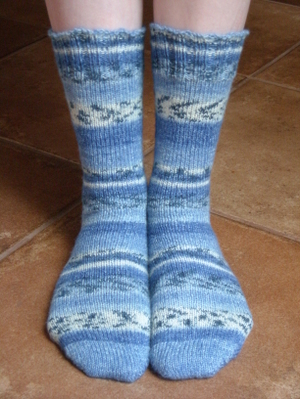 They are the Sunrise socks, from the same book, though I made a mistake, so now I'm winging it. I'll show you those soon! 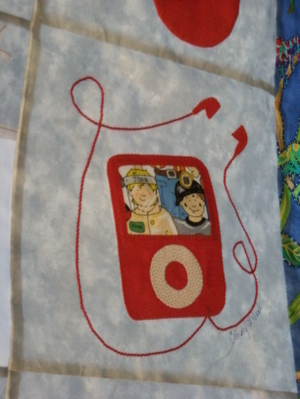 Meanwhile, I took some photos of the quilt I've been hand quilting and will post them tomorrow. I'm actually going to write that post right now because this weekend I'll be gone on a Mom's Weekend Out! This is a first with my group of homeschooling mom friends here in Bend. It's going to be cold (darn that mountain weather), but should be tons of fun. I've been on a sock kick lately. 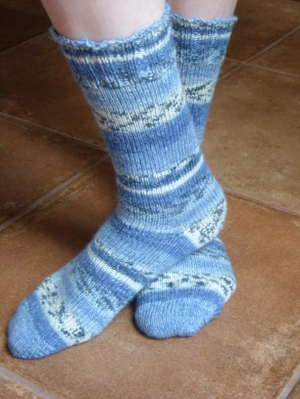 These are made with some Opal sock yarn I bought many years ago. 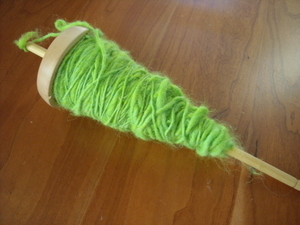 I liked it at the time, but decided later I just don't like these self striping yarns. Luckily, Chloe liked it and it's blue, an added bonus. I made these with Wendy's toe up sock pattern, which, I'm happy to say, I can now do in my sleep. 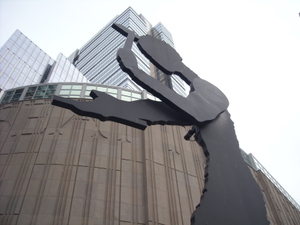 This was the take along project to Seattle and they were finished soon after coming home. Scrabble wondered what all the fuss was about! Now, I'm on a Cat Bordhi sock kick so you'll be seeing some of those soon. 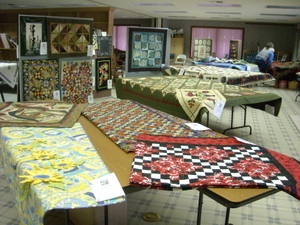 Don't despair though if you are here for quilts. 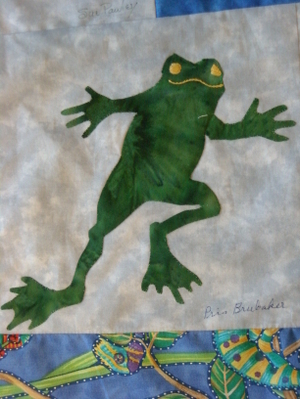 I have been hand quilting and will show you that soon! Whoa! That was a long blog break. I guess I needed one and didn't even know it. We've been out and about a lot lately and when I've been home I've been relaxing with a book possibly more often than knitting or quilting. When I got the flu I was reading because that was all I had the energy for. I forgot how much I loved to curl up with a good book. Almost all my spare time in the past few years has been spent furiously sewing or knitting. I used to be such a reader! I spent my childhood never far from a book and I still read every day, but now it's the newspaper and blogs. I think I need to get back to the books though. I've read some good ones lately and one of my favorite authors, Alexander McCall Smith, is so prolific that I realized I had about 8 of his books for his four series that I needed to catch up on. So, that's where I've been. Well, actually, like I said we've been out and about and it all started on Easter when we started talking about getting out of town. 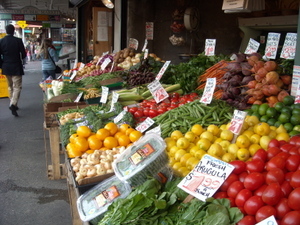 I was dying to go somewhere and we picked Seattle, so that's where we spent spring break, walking all around downtown and sampling food all over the city. What a treat! Even thought it was cold and windy most of the time we still had a ball. 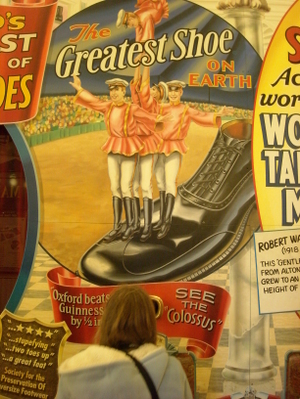 We did lots of touristy things- Pike Place Market (including the shoe museum! 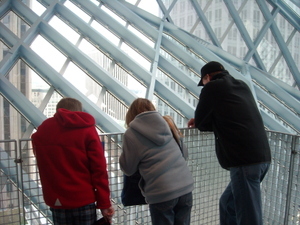 ), the Underground Tour, a Supersonics game, the Seattle Library, the Science Fiction museum. 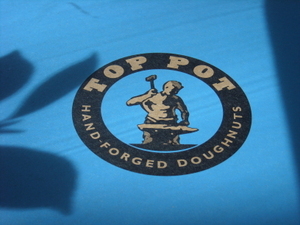 We found the best doughnuts anywhere at Top Pot Doughnuts. 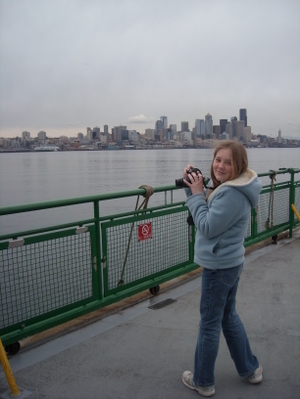 We took the ferry to Bainbridge Island. I would have loved to say hello to Kathy, but I knew our time was very limited. 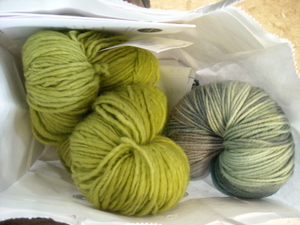 I did manage to get to Churchmouse Yarns and Tea which was definitely worth the trip. I got a couple of skeins of Malabrigo and a Socks that Rock heavyweight. Seriously, these are the best doughnuts! 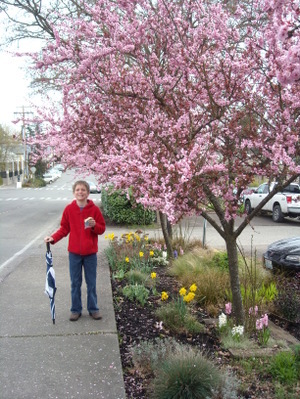 You've got to try them when you get to Seattle! 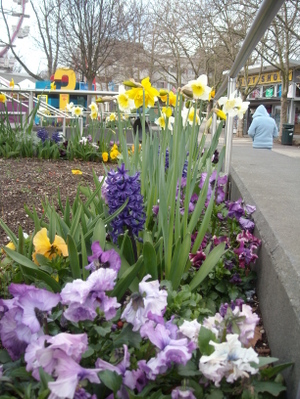 One of the best parts about the trip was seeing some green and plenty of flowers. It's still pretty brown here in Bend and we've even had snow lately. It's crazy weather time here in the high desert. I have done some hand work lately and I'll show you that next time!